Sydney Thaiss Atkins and his twin brother Leslie Thaiss Atkins were born in Lambeth, London, England on 17 July 1914. Nothing is known of his early years, but on 12 February 1937 Syd, then age 22, made application to sail as an assistant steward on the Otranto. He was 6 ft. tall, had blue eyes, brown hair and a fresh complexion. It would appear they signed on for a particular voyage and signed off at the end of the trip. Syd served first on the Otranto in February 1937 but may have served on this ship again at different times between 1937 and 1939. He served on the Orion from 1 October 1938, and on the Ormonde from 28 January 1939 and again on 29 May 1940. His date of joining the Nerissa is not shown but he was paid off from the Ormonde on 28 December 1940, having served as a Utility Steward on that ship. He probably joined the Nerissa sometime between 27 January 1941 and 20 March 1941. The only details we have about his travels concern his 1939 service with the Ormonde. He signed on in January at Tilbury and terminated the voyage on 4 May 1939 having travelled from Brisbane back to England as a tourist waiter. On the Nerissa Casualty List he is recorded as "missing assumed drowned 30.4.41". His nephew, John Gilbert, recalls Syd's sister Alice Gilbert, then living in Winersh in the south of England, receiving a telegram informing her of the death of her brother. Syd and his twin brother Les were both stewards in the Merchant Navy. Les continued to sail after the war and married and retired in Manley, NSW, Australia. He passed away in 1997 at age 82. 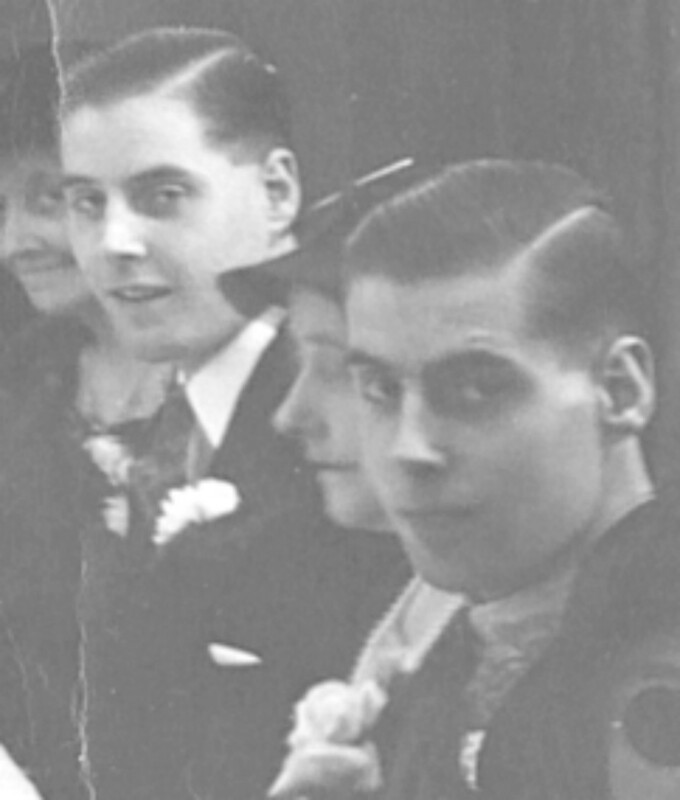 The attached photo of Les and Syd is taken at our parents' wedding in 1935. Syd is on the right. Steward Sydney Atkins is commemorated by name on Panel 72 on the Tower Hill Memorial, London, England.